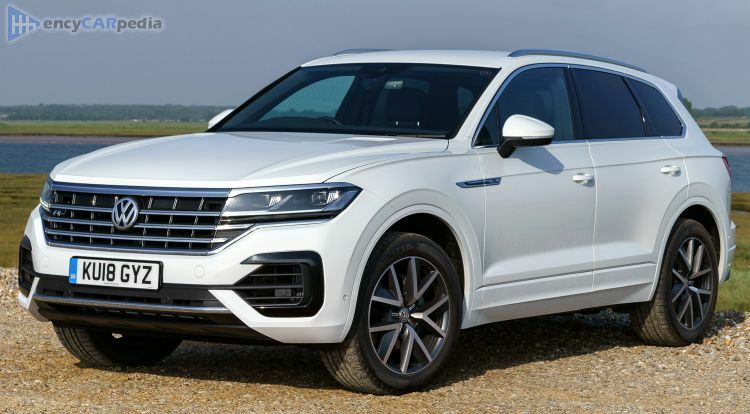 This Volkswagen Touareg V6 TDI 286 4MOTION started being produced in 2018. It replaced the 2014 Volkswagen Touareg V6 TDI 262. It's an all-wheel drive front-engined large SUV with 5 doors & 5 seats. With 282 hp, the turbocharged 3 Litre 24v V6 diesel engine accelerates this Touareg V6 TDI 286 4MOTION to 62 mph in 6.1 seconds and on to a maximum speed of 146 mph. Having a kerb weight of 2070 kg, it achieves 42.8 mpg on average and can travel 706 miles before requiring a refill of its 75 litre capacity fuel tank. It comes with an 8 speed automatic gearbox. Luggage space is 810 litres, but can be expanded to 1800 litres for larger loads. Find out more about the new VW Touareg at the Volkswagen UK website.